Many home loans today including FHA loans, VA loans, and USDA loans are backed by the government. Loans backed by government agencies are often tailored to borrowers with below average credit scores or limited down payment availability. These agencies also place limits on the size of the loan they will insure. A conventional loan is any home loan that is not backed by a government agency. Conventional loans are often valuable options for borrowers with stronger credit and income or for those who want to purchase homes that exceed the limits placed on government-insured options. Canyon Mortgage Corp offers great rates and terms on conventional loan options to homebuyers throughout Lake Success, New Hyde Park, East Rockaway, and Floral Park. Conventional mortgages are classified as conforming and non-conforming loans. Conforming loans must meet certain criteria set in place by Fannie Mae or Freddie Mac. If a loan is considered conforming, it is eligible for purchase by either of these two entities. 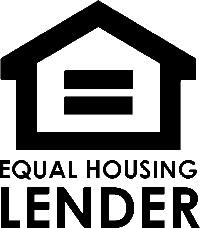 Non-conforming loans on the other hand are mortgages that do not meet the requirements to be eligible for purchase. The first thing that is looked at when determining eligibility is the loan amount. Loans greater than $424,100 are not eligible for purchase. In certain high-cost areas, loans can reach as high as $636,150 while still being considered conforming. Conventional loans in New York have historically required down payments of 20% or more. In recent years, conventional loans are becoming increasingly available with down payments as low as 3%. A 20% down payment allows buyers to avoid private mortgage insurance (PMI). With lower down payment options, borrowers may still need to pay PMI with their loan however, mortgage insurance can be cancelled once 20% equity is reached. Mortgage insurance may never be cancelled on government-backed loans such as FHA loans. You will find conventional loans with fixed-rate, adjustable-rate, and hybrid rate options. Each type of rate has unique benefits depending a borrower’s situation and goals. Many homeowners prefer fixed-rate mortgages as they offer stability and peace of mind. The rate on your fixed-rate mortgage will never change throughout the life of the mortgage regardless of rate fluctuation in the market. Fixed-rate mortgages are generally available as 15-year, 20-year, or 30-year loans. If you choose to go with an adjustable-rate mortgage (ARM), the interest rate on your mortgage will vary from time to time depending on market conditions. ARMs typically start out with lower rates than fixed-rate mortgages so buyers with plans to relocate or refinance in the near future may find that an ARM is the most valuable option for their needs. Canyon Mortgage Corp offers some of the lowest rates and most flexible terms on conventional loans throughout Lake Success, New Hyde Park, East Rockaway, and Floral Park. Whether you are purchasing your very first New York home, or refinancing your existing mortgage, we can tailor a conventional loan to meet your exact needs. For more information on our conventional loan products, contact us today.